Looks like American Idol executives might already be regretting pairing Nicki Minaj and Mariah Carey together as judges on the show. The two divas got into an argument over a contestant's performance and it led to Nicki cursing out Mariah. "I told them, I'm not f*ckin' putting up with her f*ckin' highness over there," Nicki yells in the footage obtained by TMZ. 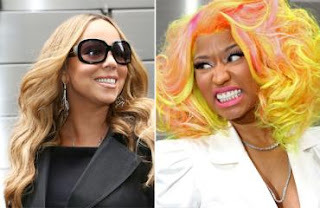 According to TMZ's report, Nicki later threatened to "knock out" Mariah.